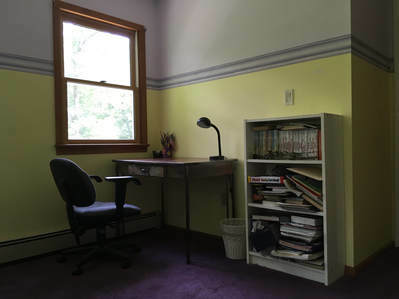 Bobbie is here to simplify and decrease your stress with professional organizing services. 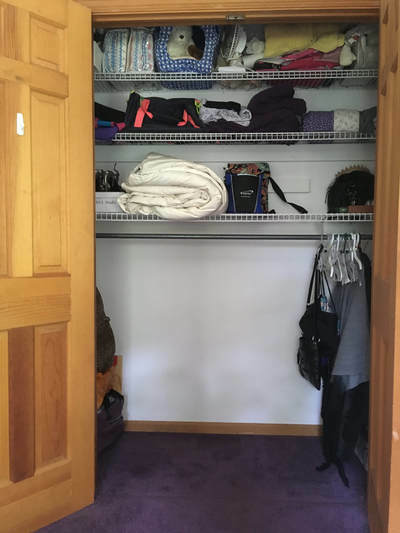 Check out some of our Before and After shots to see how The Closet Magician can help organize your Home for Sale. of school and her teenage daughter's bedroom was a mess. 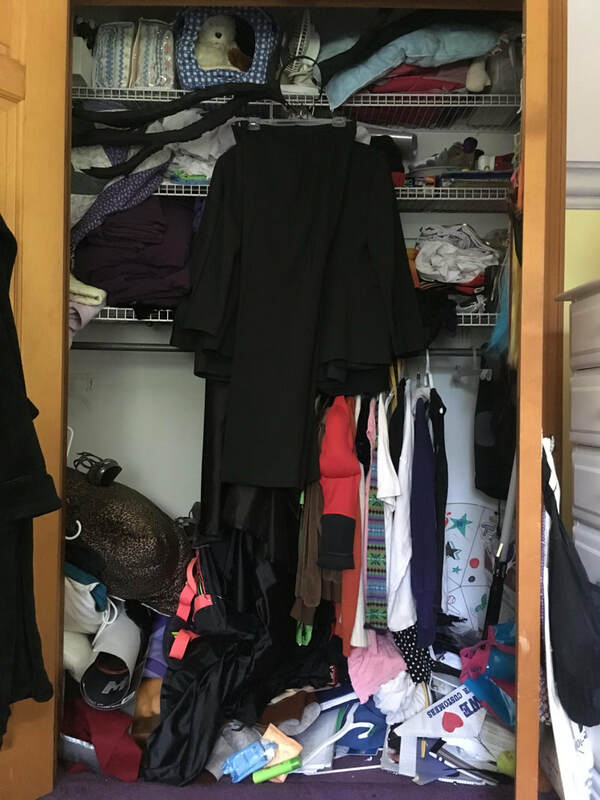 Solution: Bobbie and Celine tag-teamed and removed clothes Heather had outgrown or no longer wore and discarded worn out art supplies. 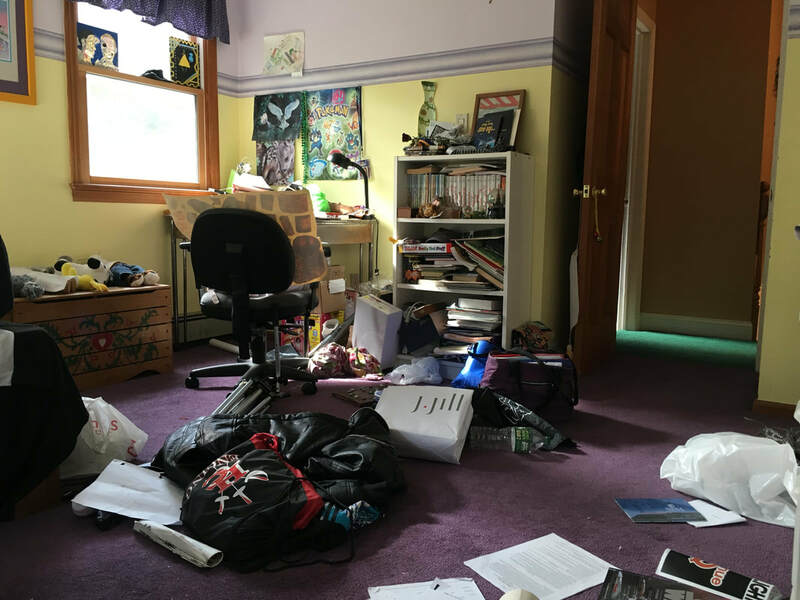 Result: The room was photo-shoot ready in just two hours. Testimonial: " Bobbie was very helpful and I would recommend her to anyone who is moving. I plan on calling her to help me set up my kitchen after we move." Problem: Andy's house has been on the market for a while but he had not had any offers. He is a single father and didn't know when or how he would find the time to do everything that needed to be done. Solution: We filled his car with donations of outgrown toys in the basement. We tossed out old art supplies and containerized the rest. Result: Andy's living room made a terrific first impression and the basement and art studio were transformed into functional spaces. Testimonial: "Bobbie helped me do what I could not do alone." Problem: Edna and David sold their home in one day and only had two weeks to downsize over fifty years of accumulated possessions. Solution: We went through their closets one at a time and donated or discarded what would not realistically fit into their new apartment. Result: Moving day went smoothly and they are now settled in their new apartment and enjoying exploring the area. Testimonial: "Bobbie came highly recommended by the Retirement Community we moved into. She is easy to work with and works in a very professional manner."